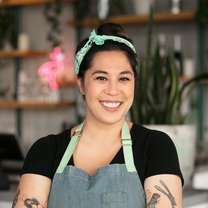 Media Noche chef Casey Rebecca Nunes was born and raised in Oakland, CA. 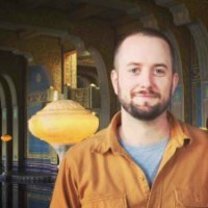 Nunes was previously a sous chef at Jax Brewhouse in New Orleans and chef at The Boardroom in San Francisco’s North Beach neighborhood. 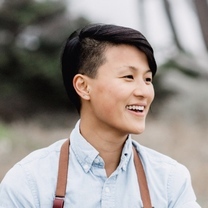 Self-taught in the kitchen, Nunes has honed her skills and worked her way through the ranks of kitchens, even being named a Top 100 finalist for Season 6 of MasterChef. In addition to putting her own spin on Media Noche’s menu of Miami and Cuban-inspired dishes, Nunes is also an enthusiast of the theatre, and was previously a professional freelance stage manager and a backstage technician at Beach Blanket Babylon. The truth about (most) of those fast-fine, fast-casual, seat-yourself outposts. Deep cuts from the week. "Late to the game, I guess, but this was quite fire (do not sleep on the spicy olive oil)"
"Y’all got something special going on 💞"
"💥 Gung Hay Fat Choy / Xin Nian Kuai Le from @medianochesf! 💥 . February’s humphryslocombe flavors, probs) . Celebrate Year of the 🐗 with the “Year of the Bao” - Chinese five spice braised pork belly, spicy daikon pickles, melted provolone (it just works idk why), black vinegar caramelized onions, sesame aioli, scallions, & cilantro . 10% ➡️ @sflgbtcenter, connecting our diverse community to opportunities, resources and each other to achieve a vision of a stronger, healthier, and more equitable world for LGBT people and allies 🌈 . Available TOMORROW 2/1-2/28, in-house & on @caviar! . . . 🌴🌙 #topchef"
Spit roasted lamb, harissa pickled veg, minted yogurt, hot sauce, and feta. "A little pressed sandwich goodness. Spit roasted lamb, harissa pickled veg, minted yogurt, hot sauce, and feta. Media Noche x Souvla🔥🔥🔥🔥🔥"
"Two incredible chefs coming together for a killer sandwhich. Chicken Parm - mozzarella, fresh basil, Marinara on a panorama hoagie roll. @#chefsfeed"
"🎉🍻🥂 HOLLA 2018 🥂🍻🎉 86 your booze boo-boos with our HANGOVER HELPER: our namesake sando (Media Noche), mariquitas, and your choice of Topo Chico or Mexi-Coke. It’ll set you up for the best New Year’s Day nap FOR SURE 🙌🏽 . . . 🌴🌙 #hotoffthepress"
the Media Noche: Cubano (ham, Swiss, lechon asado, mustard, & housemade pickles) on a sweet brioche bun. "🎉 party sandwich for party people! 🎉 our namesake sando, the Media Noche: Cubano (ham, Swiss, lechon asado, mustard, & housemade pickles) on a sweet brioche bun . . 🌴🌙 medianochesf"